bikes, boats & ducks, oh my! 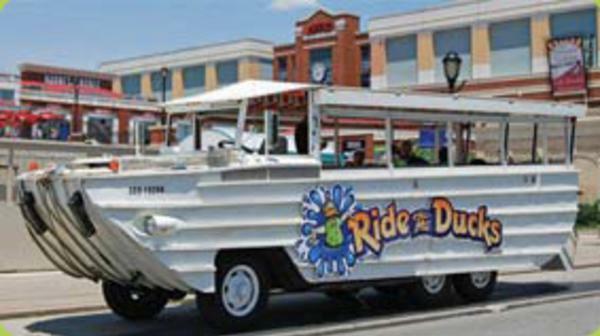 That’s the idea behind Ride The Ducks, a unique and exhilarating 45-minute amphibious tour that lets you see lots of the region’s best-loved landmarks – including the great Ohio River – from a crazy craft that’s as at home in the water as it is on city streets. Splash down and cruise the Ohio River while exploring historic waterfronts and sights of Newport, Covington and Cincinnati. Your Duck Captain entertains with stories and jokes – and everyone get in on the act with a “Wacky Quacker” noisemaker. Did we mention it’s pretty wacky? But hang onto your hat – or your seat – when the Duck heads for the river, ‘cause that “splashdown” is one you won’t soon forget. The click of the hooves. The creak of the wheels. The unhurried pace that slowly lulls you into a calm, relaxed sweet spot. There’s simply nothing quite like slipping back into a bygone era – and no other tours bring on that tranquil, laid back vibe like a leisurely stroll in horse-drawn carriage. Several providers offer a variety of informative, historical tours lasting 20-60 minutes, including routes through Covington and Newport in Northern Kentucky and across the river through downtown Cincinnati. Sights include several historic neighborhoods, many notable homes and remarkable Riverside Drive, the enchanting Roebling Suspension Bridge, city parks, monuments, cathedrals and landmarks. Departures are available from downtown Covington, Newport on the Levee and on Fountain Square in Cincinnati (or by prearranged pickup at hotels or restaurants). 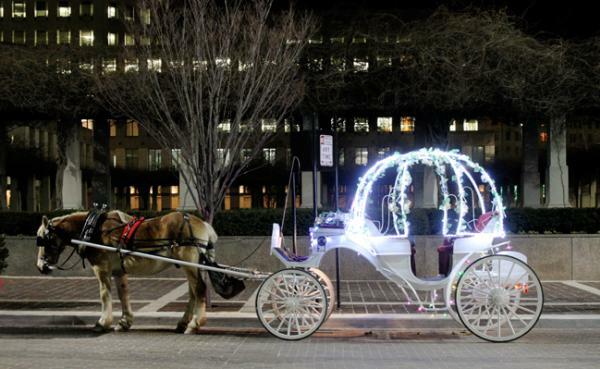 To guarantee a carriage, it is recommended to make a reservation by contacting a provider, such as Cincinnati Carriage or Elegant Carriages. Admit it, you’ve always wondered what it’s like to ride one of those quirky, kinda-geeky, two-wheeled, self-balancing devices. 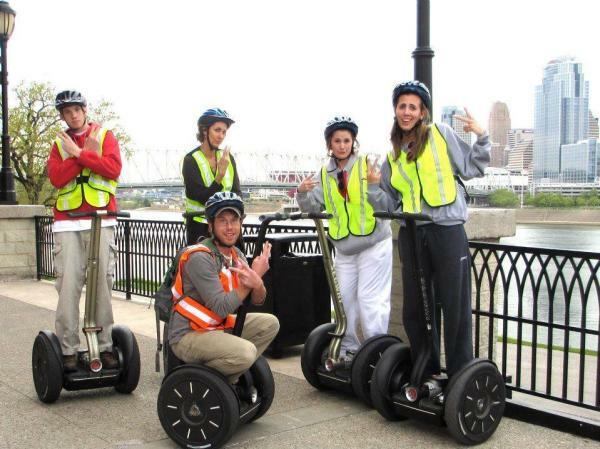 Well, thousands of visitors discover just how fun a segway tour can be while exploring the best of Cincinnati’s beautiful riverfront parks. Start with a leisurely glide through the central business district and then on to Bicentennial Commons, Sawyer Point & Yeatman’s Cove and the Serpentine Wall, and the stunning Theodore M. Berry International Freedom Park, capped off with an exhilarating, scenic ride across the Ohio on the Purple People Bridge to NKY&apos;s Newport on the Levee and back. Guided tours are approximately 2 hours with 15-20 minutes of training and a 90-minute glide. Most visitors are surprised to discover how compact and convenient it is to get around Northern Kentucky and downtown Cincinnati, especially given they’re in two states separated by one of America’s grand rivers. 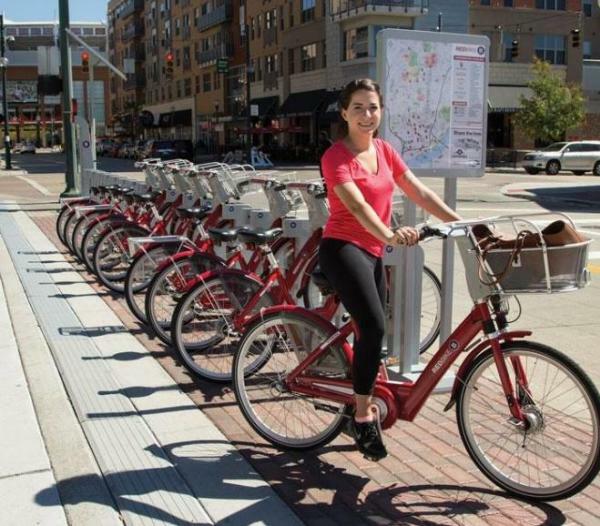 And that’s just one of the beauties that makes Cincy Red Bike – a public bicycle sharing system with 50 stations and 385 bikes – an ideal way to tour either or both sides of the river. The system opened to the public in September 2014 with 30 stations but its immediate popularity quickly demanded expansion to 50 stations, including 11 now in Northern Kentucky. Simply locate a station, purchase a pass, grab a bike and off you go. All Red Bike Passes (24-hour passes are available) include unlimited 60-minute trips within the lifetime of your pass – and since your timer resets every time you dock a Red Bike, you can enjoy just a short Red Bike ride, a series of rides, or ride all day long! 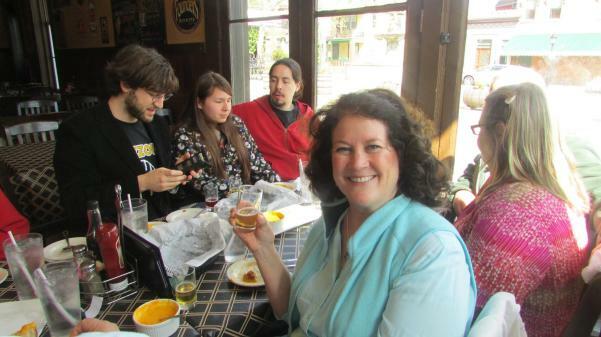 If you&apos;re looking for a fun and unique way to spend a Saturday afternoon in NKY, check out Riverside Food Tours, a 3+ hour walking and tasting food tour of beautiful Mainstrasse Village, located 5 minutes south of downtown Cincinnati. It’s the perfect combination of exploring the neighborhood while stopping to enjoy delicious food and drinks at six different restaurants in a charming and memorable setting. Mainstrasse Village will take you back in time with their picturesque tree-lined streets, fountains, a German clock tower, interesting shops and trendy restaurants to savor and enjoy. Sample dishes from small, family-run restaurants, whose owners are proud to share their story and enjoy meeting you!